I saw on Facebook that today is #NationalCoffeeDay. Well, every day is coffee day for me in my hometown. As I sit at my desk writing this today, I'm drinking a k-cup at home. This week's brew is Trader Joe's French Roast. I like it, and it is quite a bargain for under $5 for 12 cups. 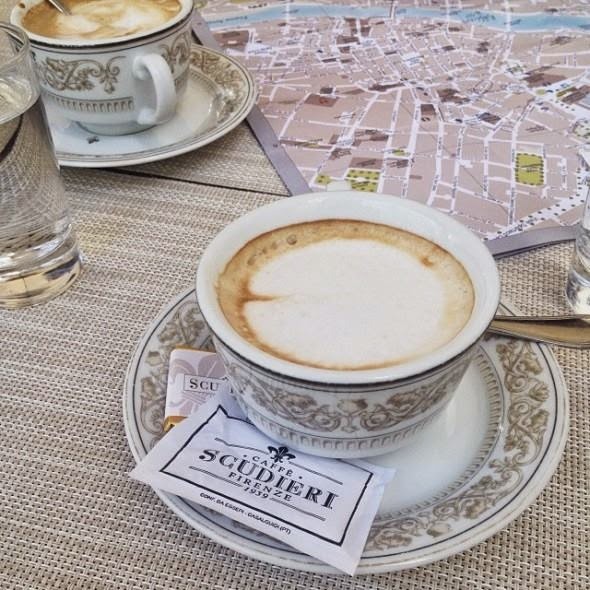 But truthfully, I cannot wait to be in Italy in a few weeks, and chat over a cup of coffee with my Skimbaco editor, Katja Presnal. 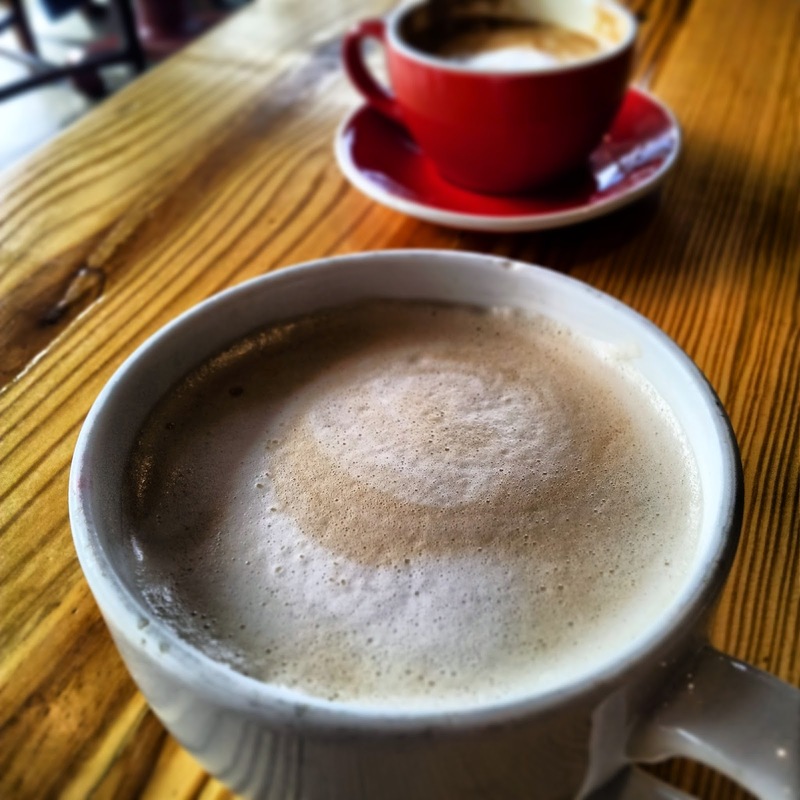 Unless you brew the absolute best coffee at home, coffee is so much better in a locally-owned coffee shop, especially when the coffee is roasted local. I do get around to coffee shops in my hometown. It's my guilty pleasure and one of the ways I live like a tourist (or maybe I should say, a European) in my own hometown. In honor of National Coffee Day, here are some of my favorite haunts (in no particular order) in Greater Raleigh. When my coffee is served in a mug then I get really happy. I prefer ceramic when I sit somewhere and sip. That's the luxury side of me, I guess. 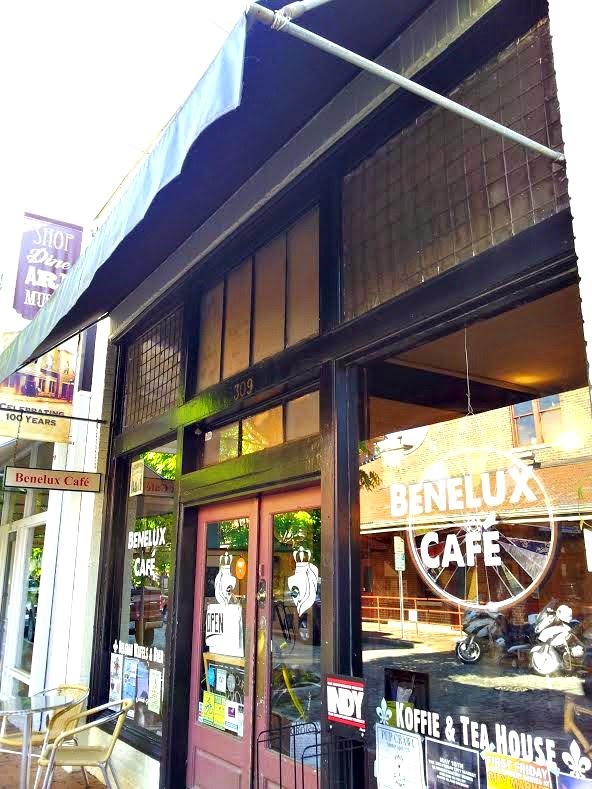 Benelux Coffee: This coffee shop was located in Raleigh's historic city market area, and I featured it as a favorite when I explored the market's sweeter side. They are about to open a new location at Cameron Village, and I look forward to that one because I'm known to swing by Cameron Village a lot. 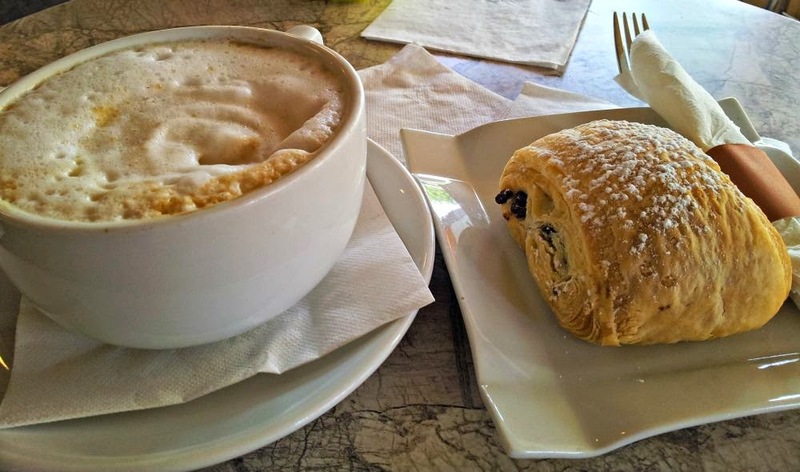 La Farm Bakery in Cary: I'm not on this side of town in Cary often, but when I am, it's like my Audi just wants to pull into the parking lot, and order a latte and a pain au chocolat. 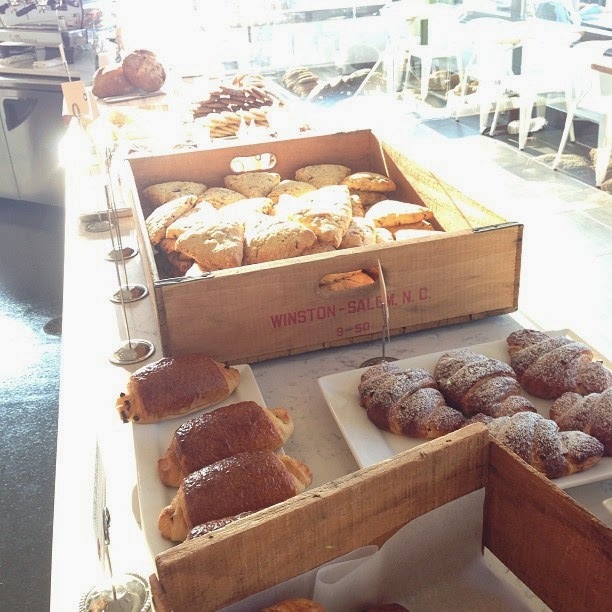 La Farm also teaches some great baking classes. When you step in, you forget that you are in N.C. BREW Coffee Bar: This is new to Raleigh, but I like it because it's easy to park, and a nice to place to sit. I love the Italian Amaretti cookie. They have cold Nitro brew, too, but I love to stick with my pretty coffees. I featured the Nitro Brew on Skimbaco. Fresca Cafe and Gelato: This is shop is located in Waverly Place near Whole Foods in Cary. I bribe my kids with gelato so I can get a pretty coffee now and then. Easy parking, too. YellowDog Bakery: I get coffee here when I'm hungry for a scone. 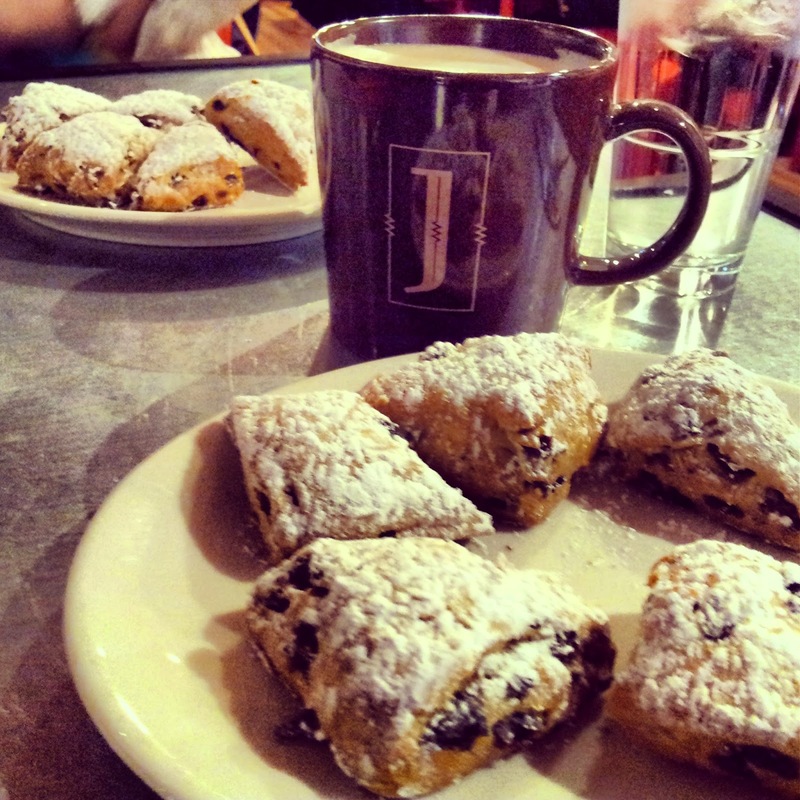 Great scones baked here in the Mordecai area in downtown Raleigh. I usually get a regular cup of coffee with cream and sugar here. For me, it's about the scones first because it is a bakery. Coffee sure is good with it though. I also like it because I can pull right in front of the building and park. Guess you can tell that I like park at places easily. 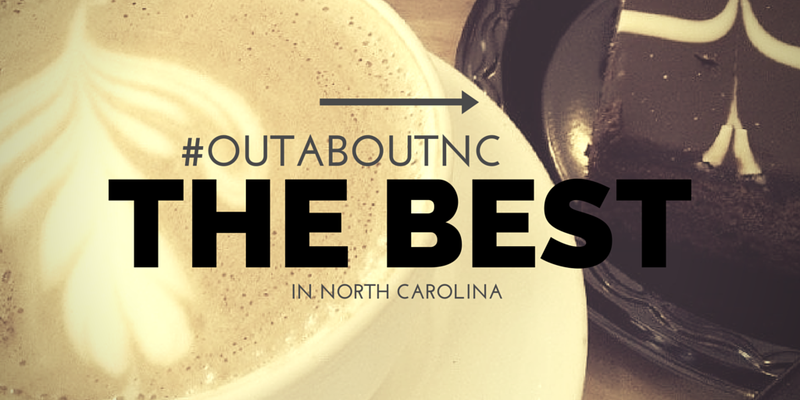 Common Grounds Coffee Shop: This little coffee shop is in historic Apex on main street. It serves ice cream, too. Again, bribe my kids with ice cream so I can take a coffee break. 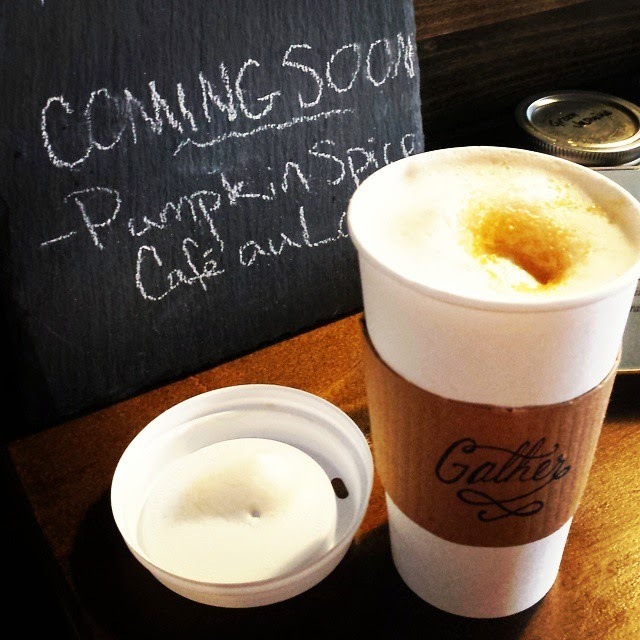 Gather Coffee Shop: I joke now and say I can spend some time in downtown Cary now because they finally have a coffee shop. Gather is just a cute place...well, to gather. 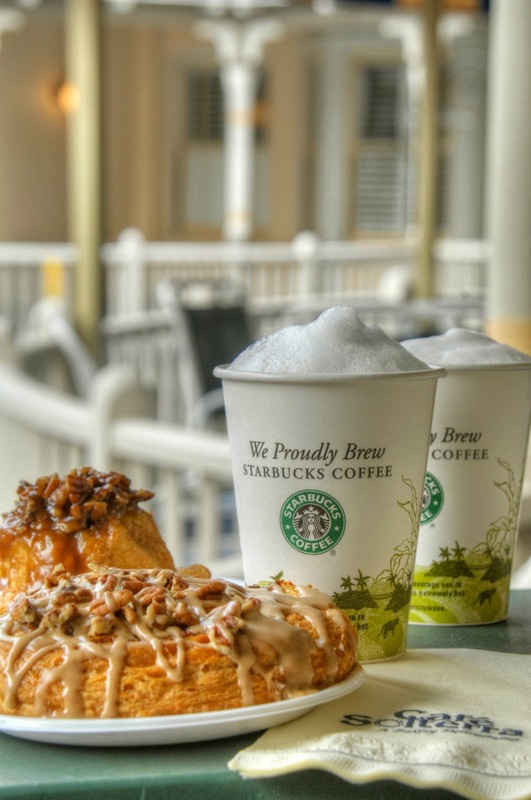 All of its coffee drinks are brewed coffee-based using a local roaster. 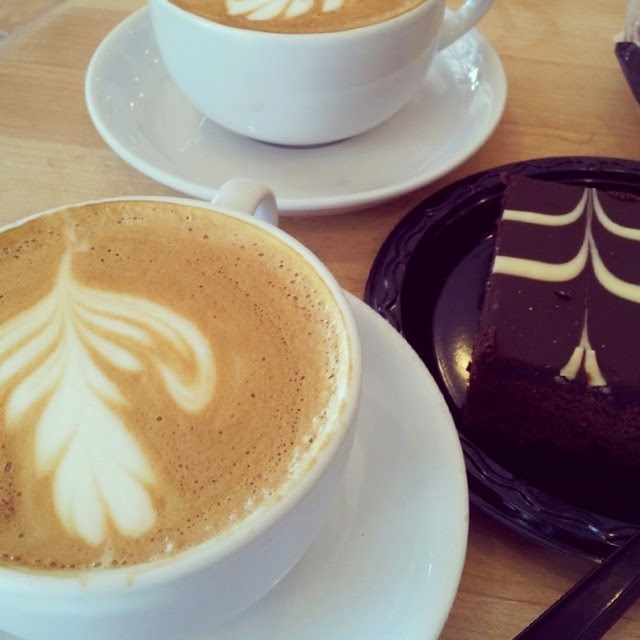 Sola Coffee Cafe: I am not here as often as my blogging friends, but I had to mention it because it's such a cute place. If it was near my home, I would have to stop in daily. 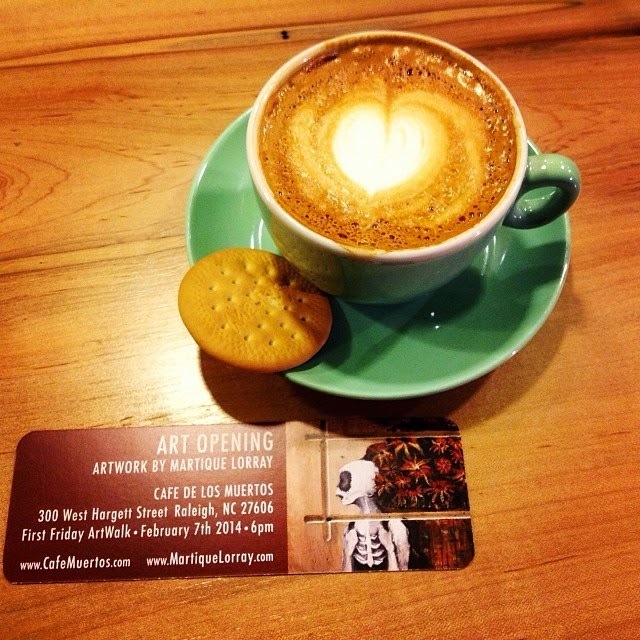 Fresh, local food and hot minis are served with a beautiful coffee in a red mug. It's a good 30 minutes away from home, but maybe if I give them enough publicity they will open a second location on my side of town. 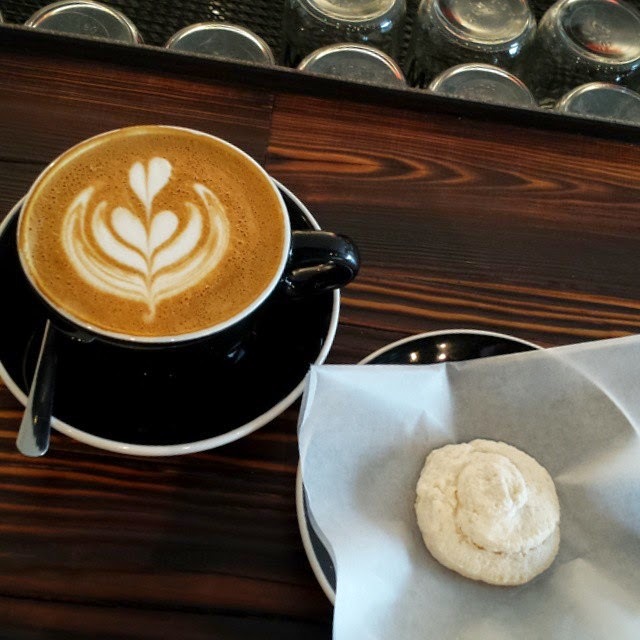 There are some great coffee shops in the Triangle, and I have been to others that I love, too like Raleigh Times and Joule in downtown Raleigh, too. Go ahead. Tell me your favorite coffee shop in your hometown. If I'm in your town, I may just try it. All photos except the great photo above by @TriangleExplorer have been featured on my @HinesSightBlog Instagram account. Follow me there, and get a cup of coffee virtually with me, especially next month in Italy. I enjoy exploring areas rich with Southern history and character. I also find these types of trips educational for my children. 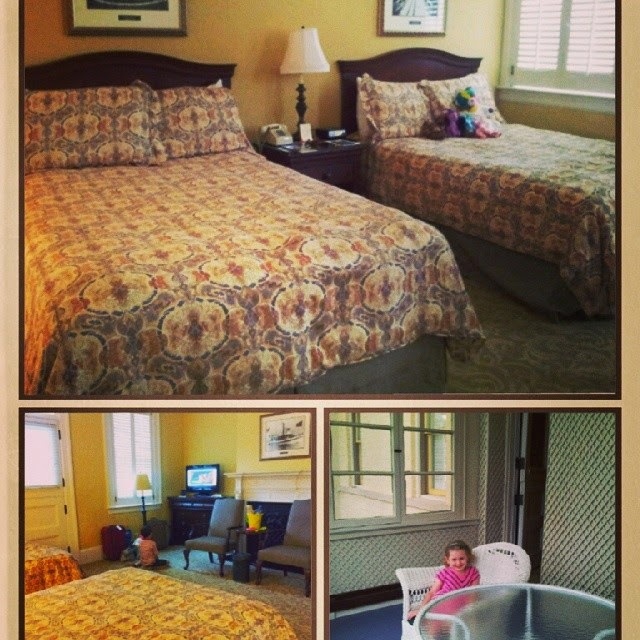 Earlier this year, I featured the Instagram account for the Jekyll Island Club Hotel on the blog. Instagram makes the area look lovely, but in person, it is spectacular. It had been a desire of mine to explore this area of Georgia because I find the whole idea and mystique of the millionaire's club fascinating. As you know, I've had a fondness of historic hotels on this blog before for these features. 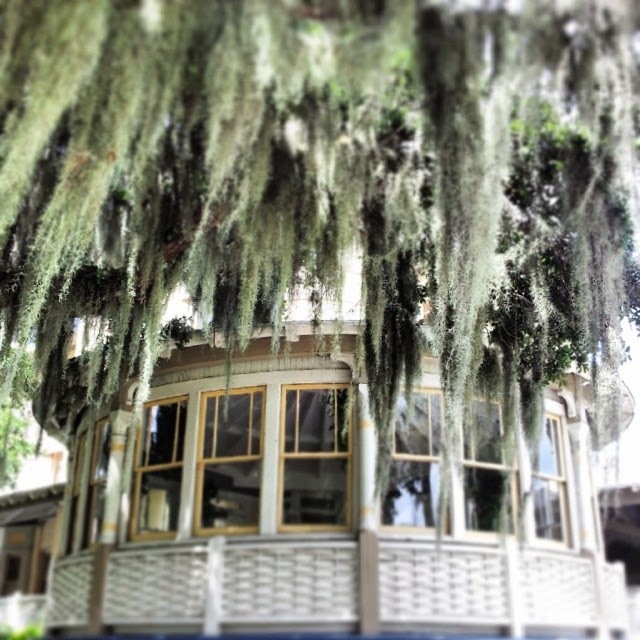 Jekyll Island, adorned with its regal Spanish Moss is breathtakingly beautiful. I'm so glad I made Will and the family do the 7-hour drive to experience the beauty of this island in person. While there, I was also able to tie the visit in with a Skimbaco Lifestyle magazine article I was writing, which will publish soon. 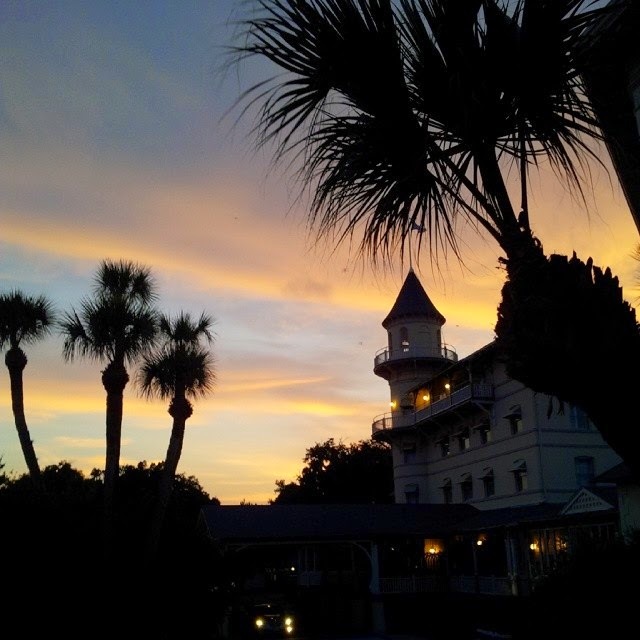 The Jekyll Island Club Hotel was our base for three nights. This was a slow-paced resort agenda for us and these types of family travel trips are my favorite because I enjoy hanging out at a hotel more than anyone. 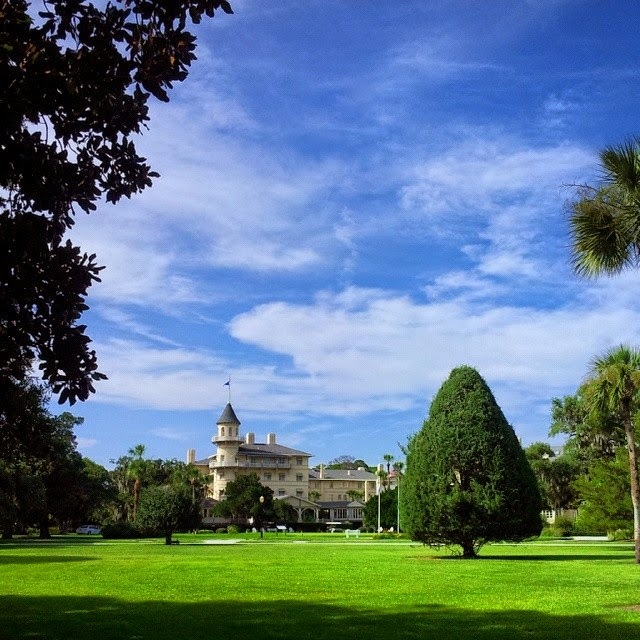 With its massive porches and stunning turret, the Jekyll Island Club Hotel is certainly impressive. It has a regal, formal feel to it, but don't let the formality of the main lobby scare those of you who are traveling with children. 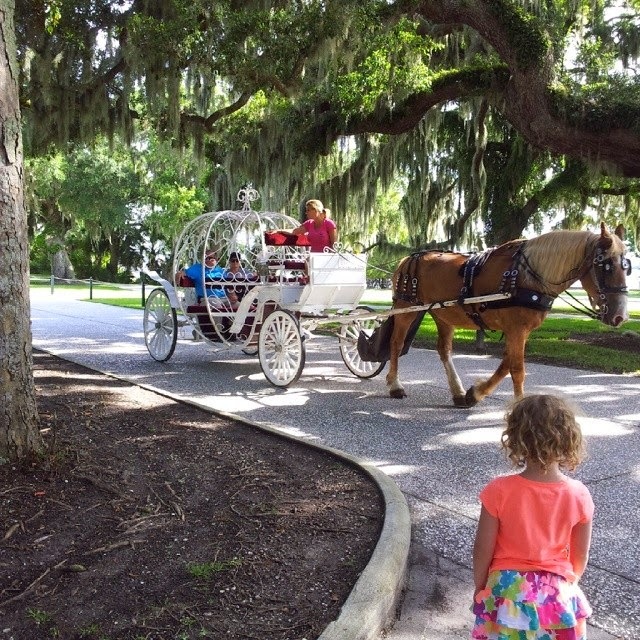 The Jekyll Island Club Hotel is very-family friendly. My kids did not feel out of place at all. The valet team shuttles families to beach, and to the island's water park. The resort pool is not flashy with water slides, music blaring, or a lazy river, but that's why you have the island's water park for the kid's to enjoy and be wild. Instead, the hotel is peaceful, and restful. With its decor, views, and regal style, it's easy to transport your mind back to yesteryear, where millionaires gathered for tea and social events. 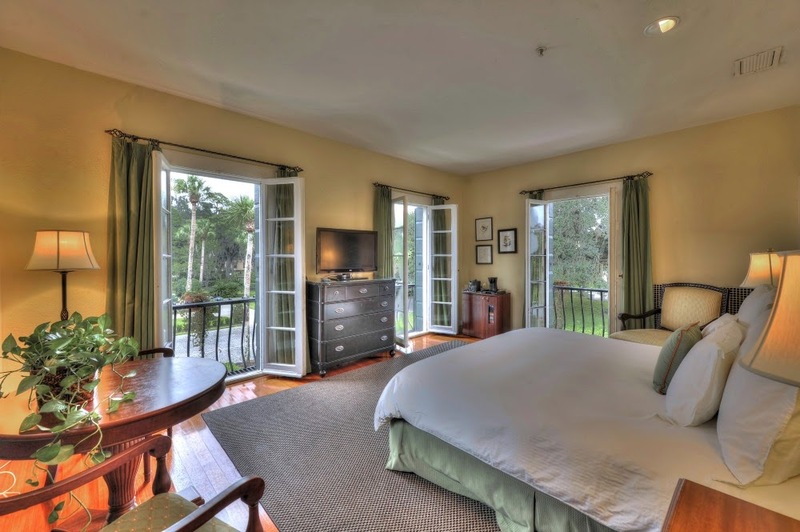 With this being a historic property, there are all levels of rooms and a variety of price points from $189 to $479. 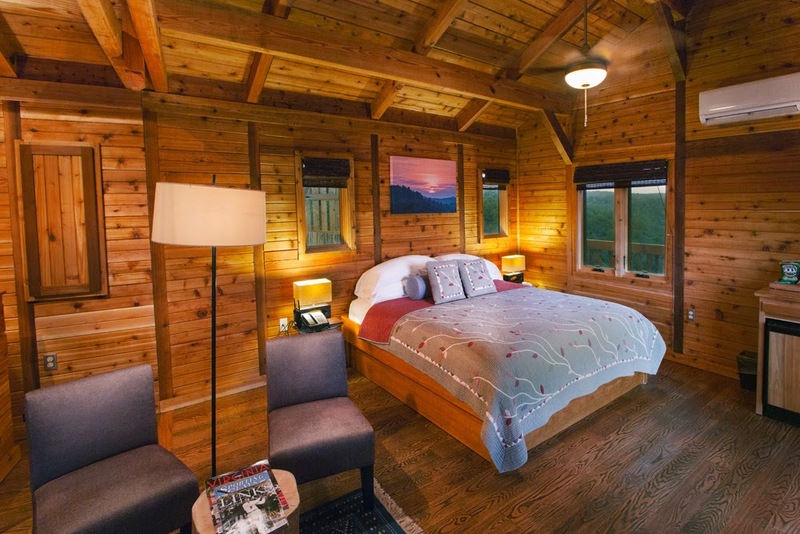 In my opinion, rooms in the Crane Cottage (pictured above) and the Cherokee Cottage are the most luxurious in style. However, most all of the rooms in these cottages, are equipped with a king bed, which are better suited for couples rather than families. 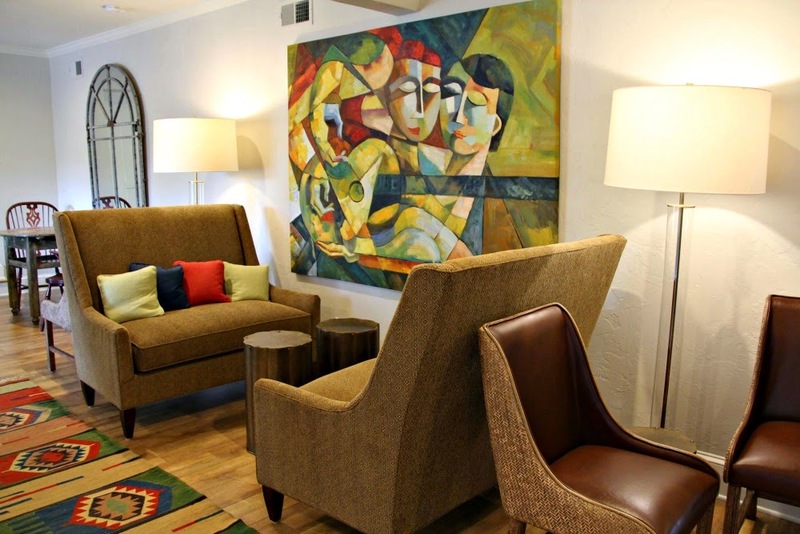 Rooms in the Clubhouse, Annex, and Sans Souci buildings are more traditional in decor and reflect the club's history. Our room was on the main level of the Annex building. The rooms here are large and are a little more dated in appearance. The Annex building is the last building to go through decor and bathroom renovations, which are taking place now. Some rooms in the Annex building have a sun porch, and this is a fantastic feature. 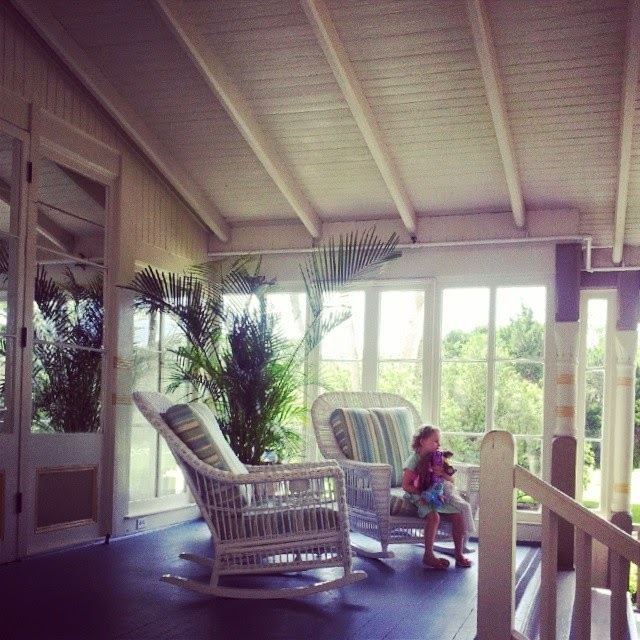 We loved our porch. We sat out on the porch every morning and every evening. It was a nice perk for the room and gave us some space away from the kids while they watched TV. I booked afternoon tea on the day of our arrival. 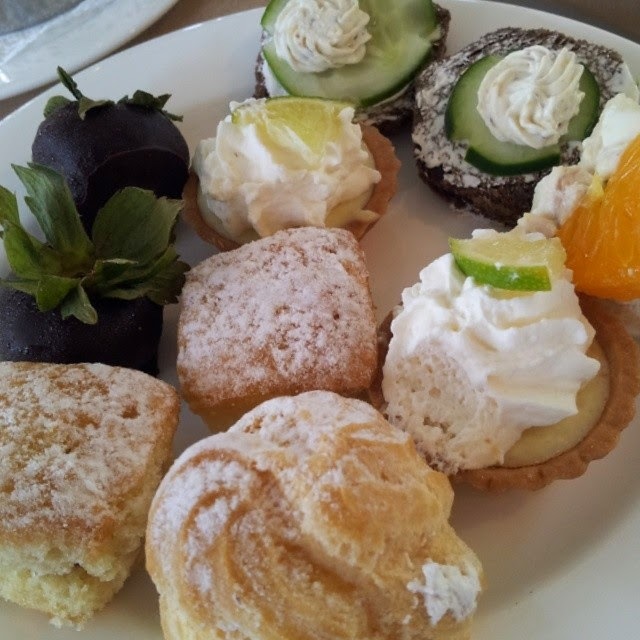 At first, I was a little confused because it was my first-time experiencing an afternoon tea buffet. Once I got everyone settled, I absolutely loved the idea of a buffet tea because then I could go back and get my favorites. I'm a scone lover and these were divine. 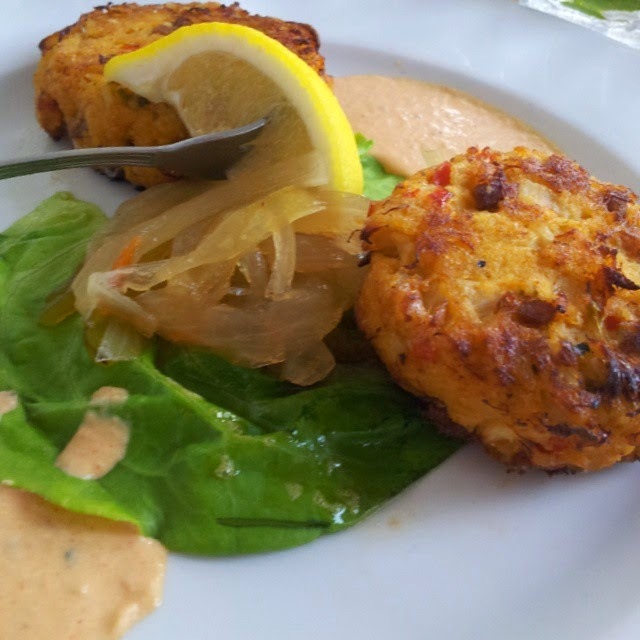 One thing that will resonate in this post is that the Jekyll Island Club Hotel has terrific food. I was pleased with every meal I ate while staying on property. 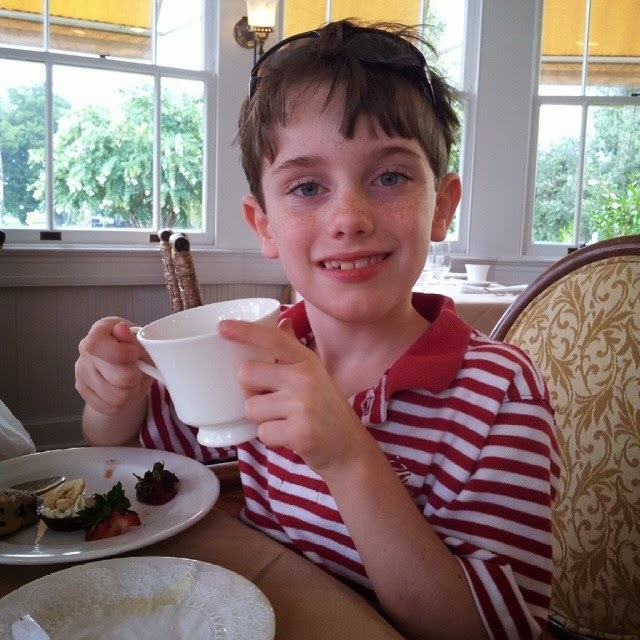 Tea prices are also very reasonable at $14.95 per adult and $9.95 for children under 12. Tea is served daily. 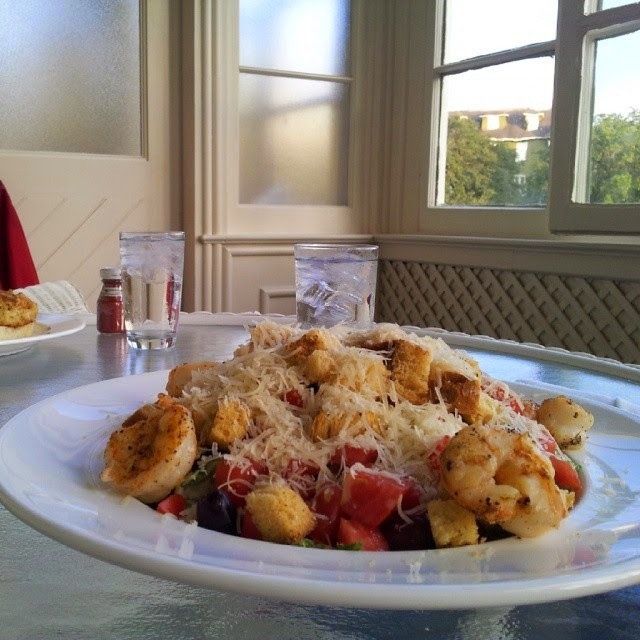 Jekyll Island has a few restaurants on the island, but we ate every meal at the hotel. I'm sure if we were there longer than three nights, we would have ventured off property, but we stayed at the hotel because it was easier. Since we were visiting during pool season, we had lunch at Pool Bar and Grill. This is a restaurant with a full bar that has an outdoor country club type atmosphere. 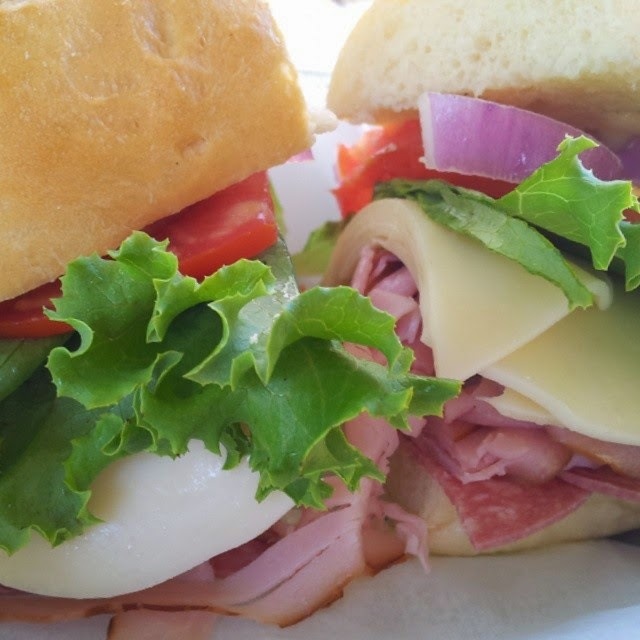 Typical fare is hamburger, hot dogs, chicken sandwiches, and salads. We dined at the Club Cafe several times, which is located in the hotel. This is a good spot to get pizza, sandwiches, and Starbucks coffee in the morning as well as pastries. This restaurant mainly utilizes outdoor seating on the porch. We probably popped in here more than anywhere while we stayed on property. It was a quick walk from our room, and we also took some beer back to enjoy in the evening on our sun porch. 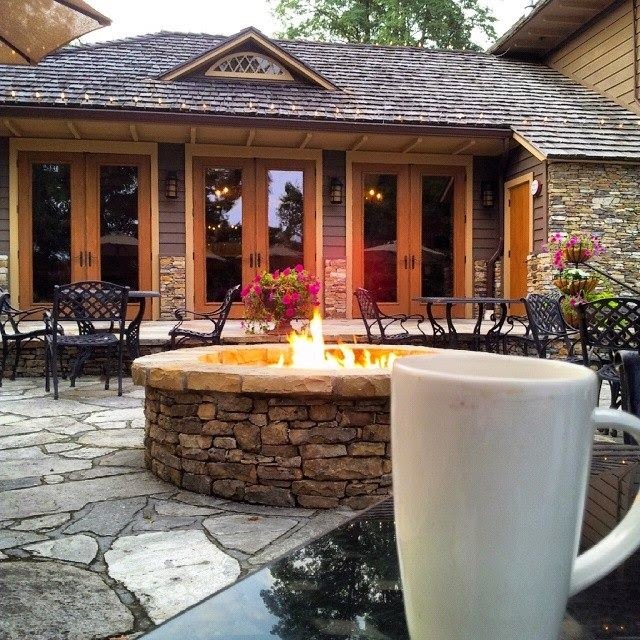 The Club Cafe is open daily from 7:00 a.m. to 10:00 p.m.
We decided to dine at the more upscale, but yet resort-casual Courtyard at Crane, which is located in Crane Cottage adjacent to the hotel. The Crane Cottage has the rich history of being one of the most ornate cottages ever built on Jekyll Island. Here's a little tidbit for you. Look on the back of a toilet in an office building and you may just see Crane written on it. We found one as soon as we got back to Raleigh. Courtyard at Crane also has a fantastic children's menu. I definitely would classify Courtyard at Crane as a fine dining experience, but it is not as formal as the club's Grand Dining Room, where we had afternoon tea and breakfast. At night, the Grand Dining Room is a gourmet Southern dining experience and attire is more formal than during the day. 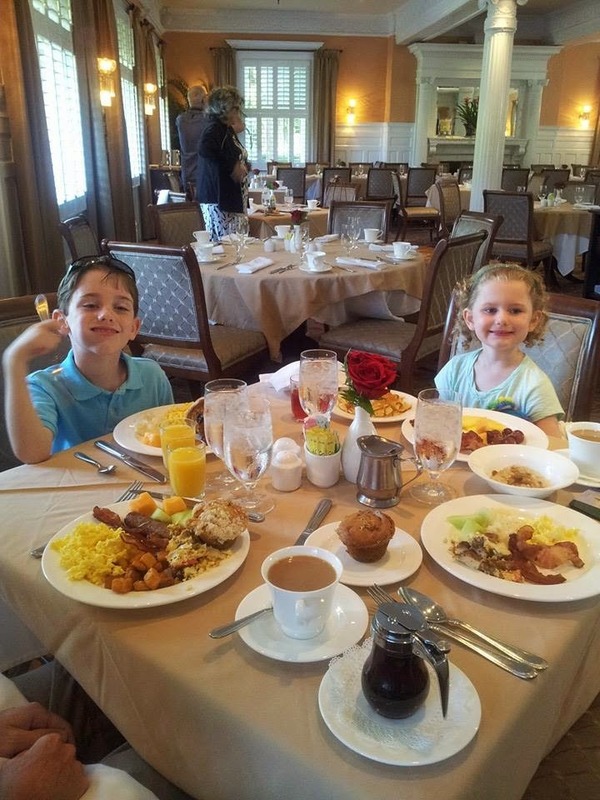 Breakfast is fabulous in the Grand Dining Room and the breakfast buffet is actually a bargain. I know that sounds odd when I write something like that about a luxury property, but it is only $11.95 per adult. It's probably one of the best gourmet deals to be found at a hotel. The pastries are delicious. 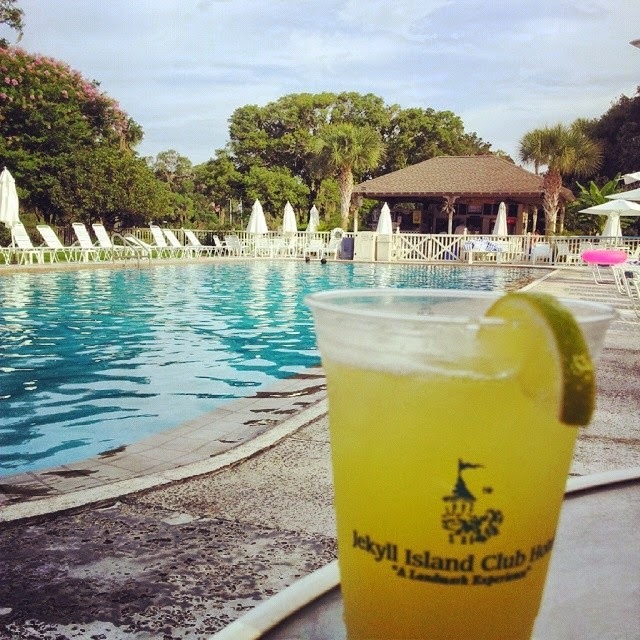 After a day of experiencing the Jekyll Island historic tour along with some time spent at the island's water park, we enjoyed happy hour by the club pool in the early evening. It was summer and I really wanted a cool margarita by the quiet pool. The pool cafe closes at 6 p.m. so we opted for room service on our last night on the island. Sometimes, it's just nice not to go anywhere at all, and just relax in our room. The kids love room service when we travel, and I like the splurge. It's like a treat. Will and I dined on our sun porch and the kids dined on chicken tenders while watching their favorite Disney shows. 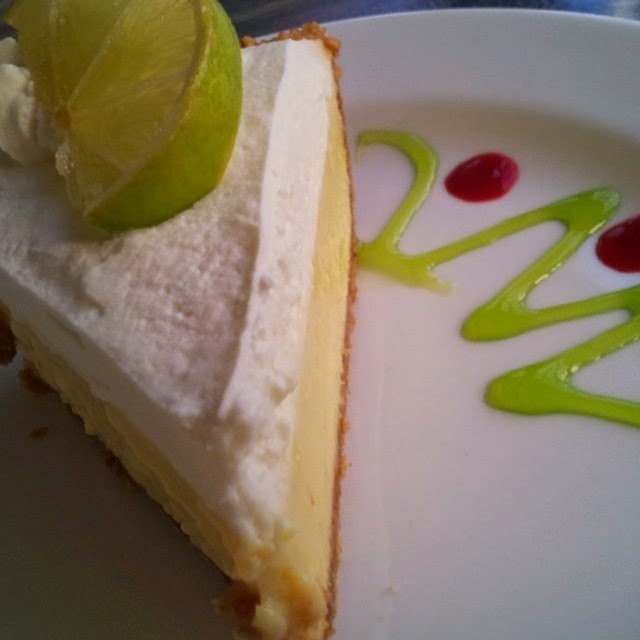 I also could not leave the club hotel without trying the key lime pie. I added that to my room service bill. It was some of the best I've ever had. Worth every calorie. I think four nights on the island would have been better than three nights. I say that every time I go somewhere though. I am beginning to think three nights are too short when you are at a resort. The pampering is nice. We stayed a couple of nights in Savannah on the way down so that's about all the time we had to spare for this trip. If we had longer on the island than we would have "beached" it, and visited the Georgia Turtle Center and Tidelands Nature Center. I think it would have been fun to try geocaching. Jekyll Island is no longer the private playground of millionaires, but is now a Georgia State Park. To enter the island, you must pay a fee to enter even if you are staying at the hotel. This fee helps pay for island maintenance. It's incredibly muggy on the island in July. I think one of the best times to visit would be fall and winter. Winter is actually the time of year that all the millionaires came to the island. They would arrive around Christmas/January to mid-March. 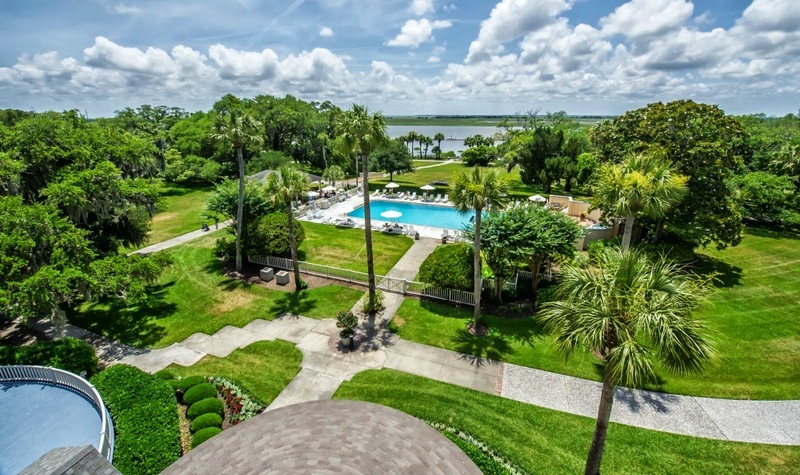 The Jekyll Island Club Hotel is picturesque and it would be stunning to see during the holidays. A carriage ride would be fun, too. Disclosure: All opinions are my own as well as all food costs. I was a working member of the media, and received comp and lodging discounts. I've had friends throughout many stages of my life. Friends who I chatted with on the phone constantly during high school, friends I lived with during college, friends who breezed through my life because of work and then friends who were always there for me no matter what stage of life or decade I was in at the time. It wasn't until I had my first child that I began to make friends with other women because we had the common bond of being mothers. 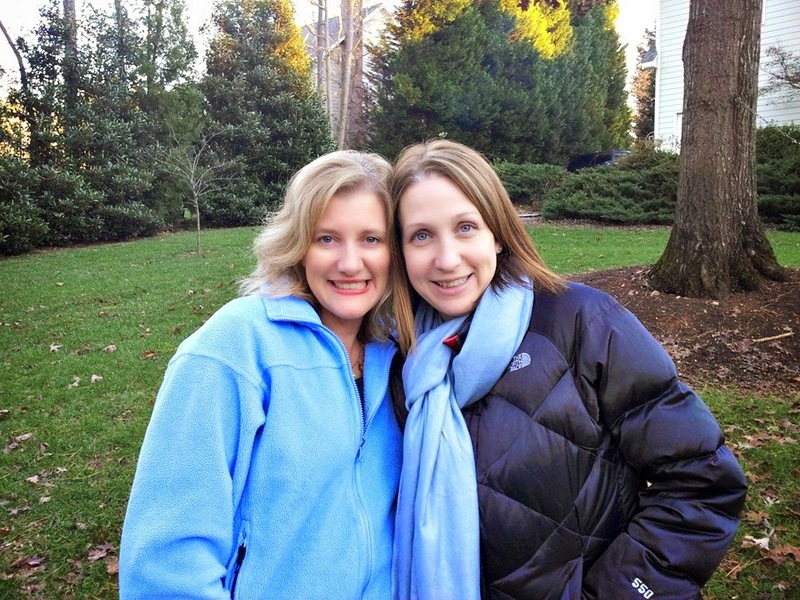 I met my friend, Kim, when our first children were less than six months of age. Different circumstances will always bring people together and you always feel so blessed when you find that one friend who becomes your rock. She and I have a lot in common that have made our friendship stick like glue. For me, Kim is that unstoppable mom that I need to lean on to get me through the challenges of being a mom. 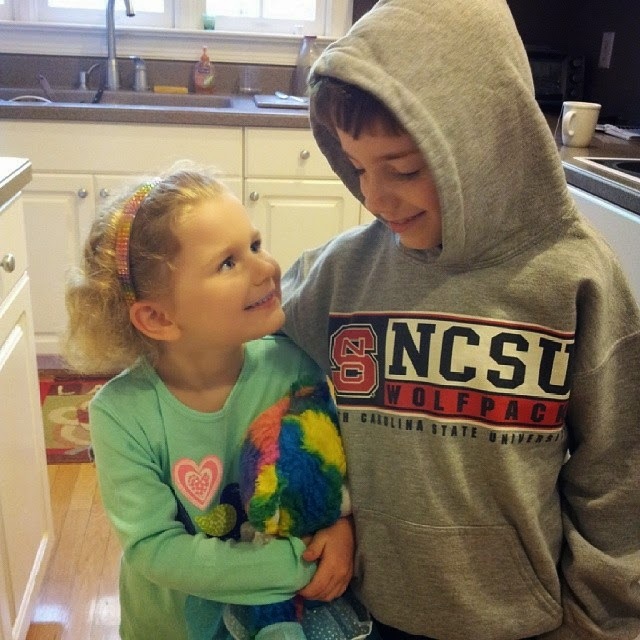 As an educator, I've used her as a sounding board when I faced parenting challenges, and I've even let her give all of us some parenting tips on this blog. I, of course, return the favor by giving her tips on where she should stay on her next vacation. No, seriously, I am also there for her when she may need a sounding board to discuss some of her parenting challenges. We all have parental challenges. Not everyday is all sunshine and roses like this photo below may suggest. One thing I've learned from experiencing these past 8 years as a parent is that other moms have good ideas, tips, and advice.You don't always have to reinvent the wheel. You just need ask other moms for their ideas and suggestions. On occasion, I can come up with good ideas of my own. Each new school year can be kind of crazy with a lot of child drama. You really have to be unstoppable in order to keep it all together. Moms have to pack lunches, chauffeur kids to school, plan dinner menus, juggle work, make sure your child's homework is done, and get your children to bed at a decent hour in order to do the exact same thing again the next day. 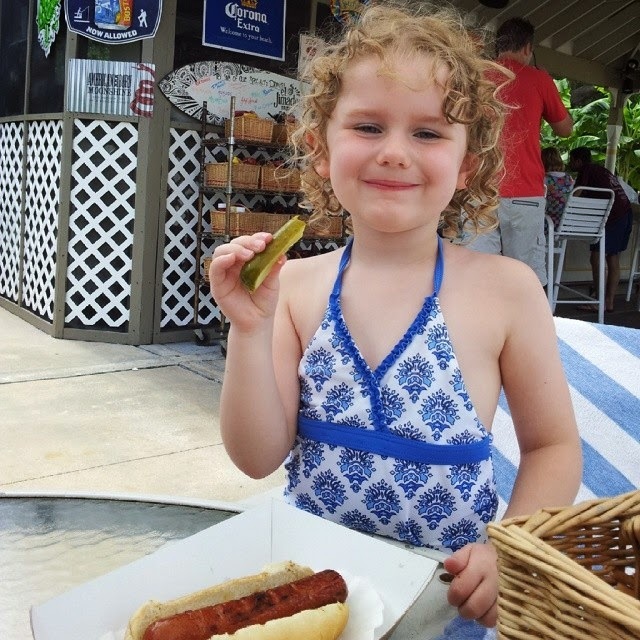 I often admit I may be better at picking the right hotel for a vacation than I am on offering parental advice, but I do have a new tip up my sleeve that has worked very well for my preschooler and me this year. 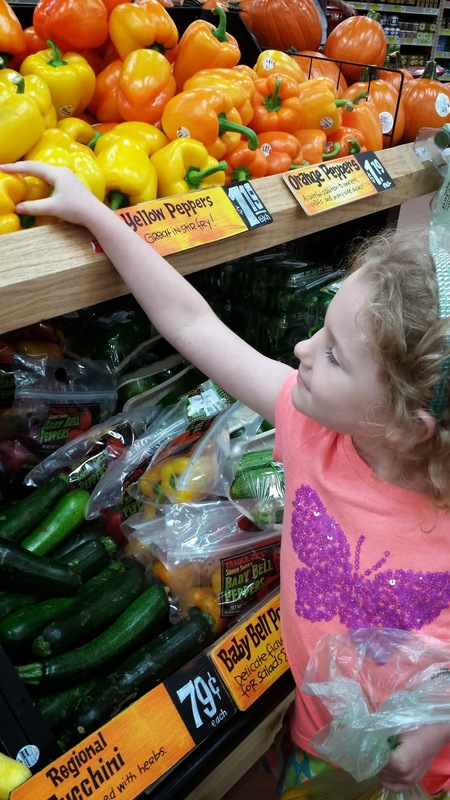 I'm empowering Liza to plan her own healthy lunch ideas for school. This is the first year that she has been required to take a lunch to preschool as they prep her for kindergarten next year. We grocery shop together, and then every afternoon we plan what will go in her lunchbox the next day. We jointly make the menu. 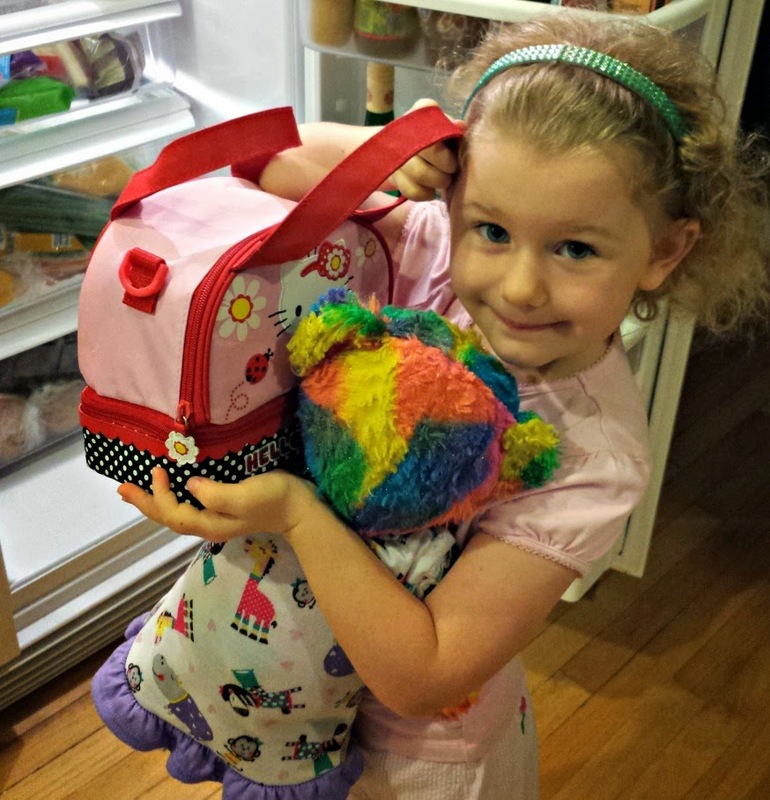 The next day, it's easy for me to pack her lunch because the list of what she would like to have in her lunch box is right there on the fridge for me to see. Packing lunch for this picky eater has been a breeze so far. I'm also learning quite a few unstoppable mom tips myself this fall from the makers of Children's Motrin. Each week on Facebook, they are asking moms like us to share our best tips on a wide range of topics ranging from meal planning, children's activities, household and even "me" time. I may have some good tips for that so stay tuned. Tips will be shared through December 1. Your tips will also help a great cause. Also, by giving your own tips, you have the opportunity to win a $100 TARGET gift card to use any way you would like. Here's what you need to know. It's #TravelTuesday and I've partnered with Tweetsie Railroad in Blowing Rock this week for a great giveaway for all of you who love things that go "Boo!" in the night. I'm the biggest scaredy cat of all so I'm leaving all of this frightful fun for you. 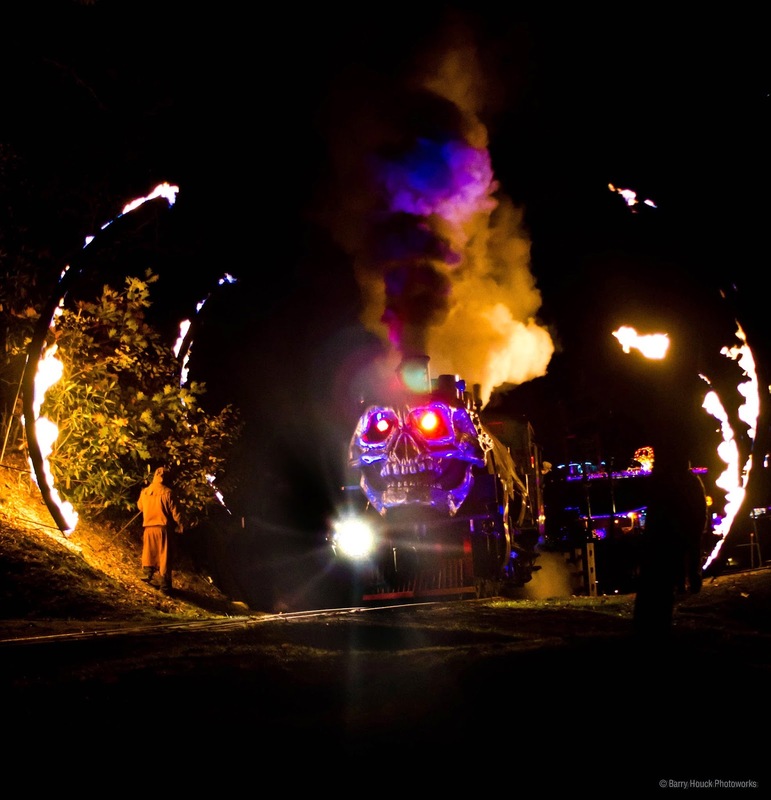 Tweetsie Railroad, one of North Carolina's most beloved attractions, will be a frighteningly fun world when the sun goes down as it celebrates the 25th anniversary of its Ghost Train® Halloween Festival, Friday and Saturday nights starting September 26 through November 1. Tweetsie is a fun, family-friendly destination, that my children adore and I've shared our trip before on the blog. Daytime visitors can still enjoy all of Tweetsie¹s Wild West adventure, rides and attractions; but when the sun goes down, ghosts and spirits fill the park when the gates open at 7:30 p.m.,daring brave guests to take a trip back in time to the "Great Train Wreck of 1914." Ghost Train passengers will travel back in time to the scene of one of the worst (fictional) accidents in railroading history. Old-timers swear they¹ve seen an apparition of the phantom locomotive and its doomed engineer and passengers. A true scream-worthy experience, the journey is filled with spooky frights around every bend and is guaranteed to give passengers a ghostly good time. Named one of the "Top 20 Events in the Southeast" by the Southeast Tourism Society, the hauntings include much more than the signature train ride. Enjoy a spooky stroll through the Freaky Forest while encountering dark surprises along a desolate woodland pathway of terror. Visit The Boneyard where you can venture into the 3-D Maze, the disorienting Black Hole, and ­ new for 2014 ­ the mystifying Warp Tunnel. Brave visitors should not miss the spine-chilling Haunted House, where 13 spooky rooms will startle and challenge the imagination. For those looking for less chills and thrills and more tricks and treats, visitors of all ages will be enchanted and amused by the spooktacular black light show at the Haunted Palace Saloon, the lively dance party on Tweetsie¹s Main Street, the amusement rides at the Creepy Carnival, and of course, it wouldn¹t be Halloween without traditional trick-or-treating throughout the park. 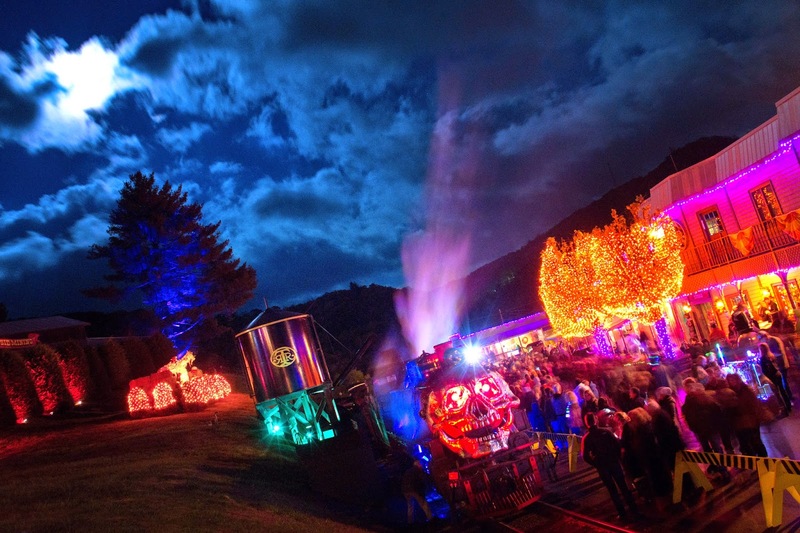 The Ghost Train® Halloween Festival is safe, scary fun for all ages. 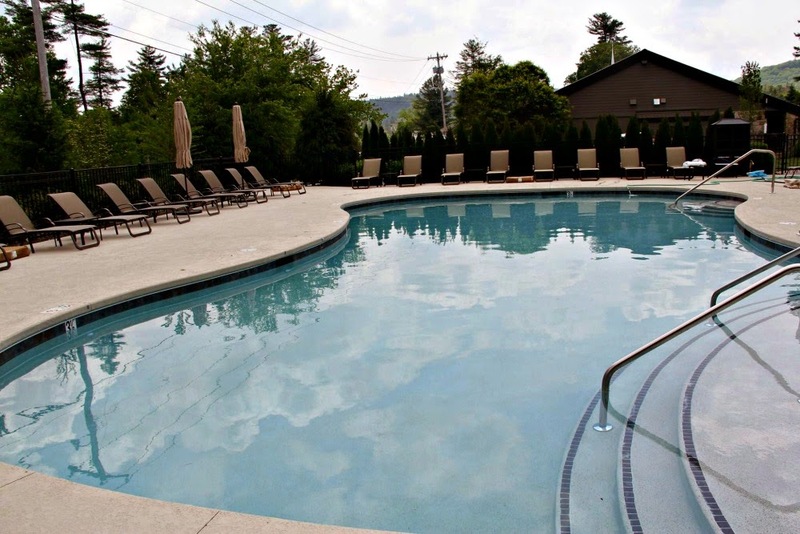 I was in Blowing Rock recently, and rented a condo at the Chetola Resort. 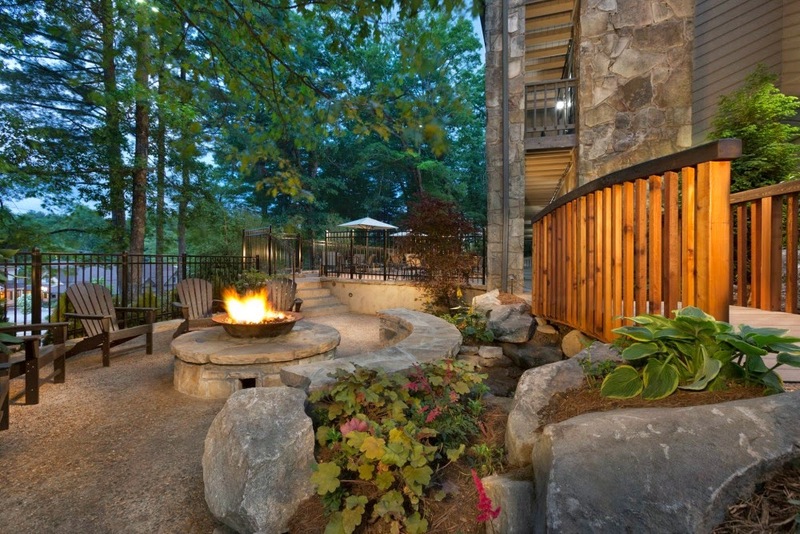 I love the new fire pit outside of Timberlake's Restaurant. I've not yet stayed in the hotel, but I would definitely do that if you have a party of four, and can fit in one room or a suite. The location of the lodge is within walking distance to everything at the resort whereas the condos are not. I think it would be ideal to sit out by the fire and then walk back to the room. I've also stayed at Mast Farm Inn in Valle Crucis and at the Courtyard Marriott in Boone, N.C. Fall is an extremely popular time in this area, especially on weekends. ASU has home football games, and hotels fill up quickly on the weekends. 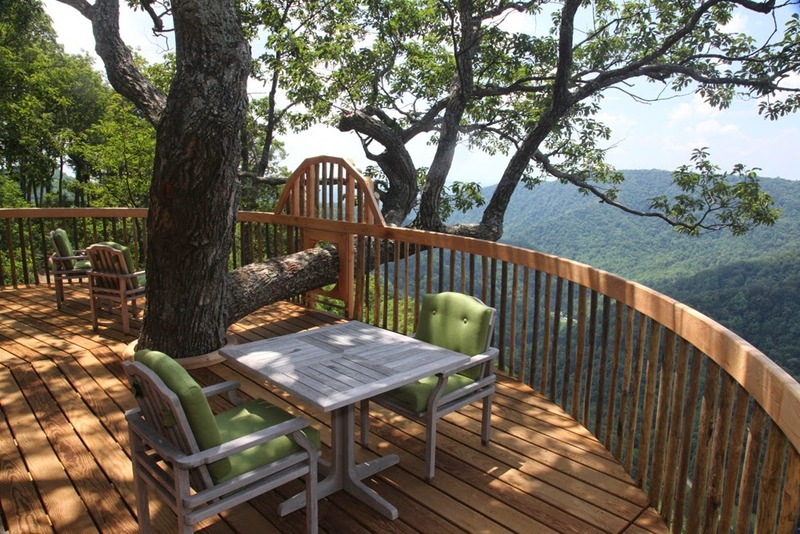 You may also want to check out FlipKey Vacation Rentals and be sure tor ready my Smoky Mountain Travel Guide. I'm a huge fan of our N.C. mountains. 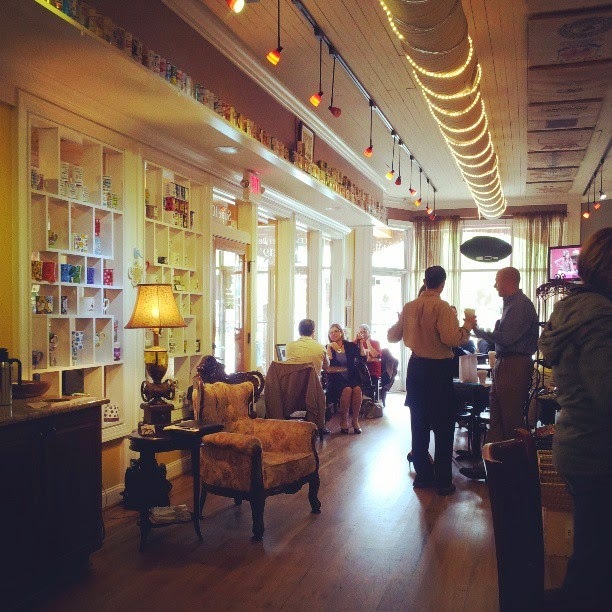 Be sure to read my latest N.C. Travel article on Examiner.com. 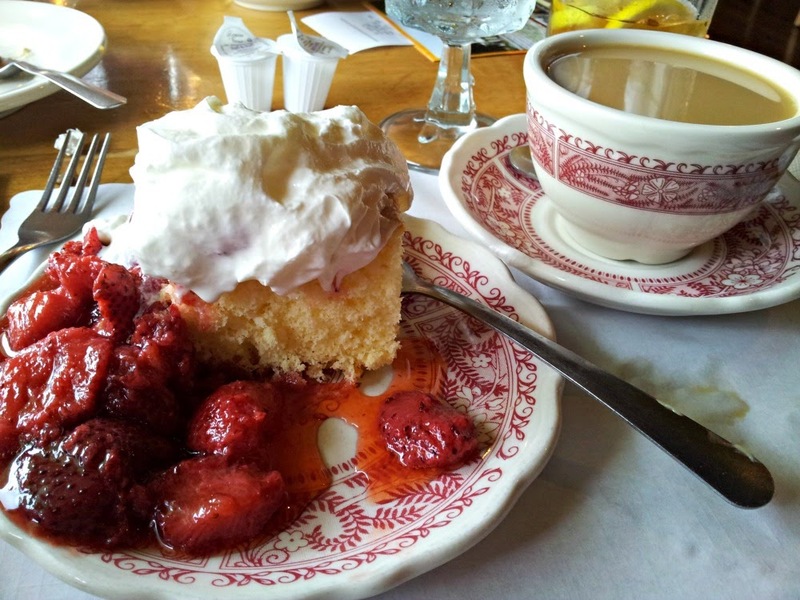 And if you are in the area, be sure to grab a table at Dan'l Boone Inn. The food is good. No, MAKE that FABULOUS. The winner of this giveaway will receive two complimentary tickets. The giveaway will end on 9/23 at 12:00 a.m.
Did you know that motel-chic is now in style as a place to stay when traveling? It's cool to stay at older properties that perhaps looked a little, shall we say "economy" 20 years ago. 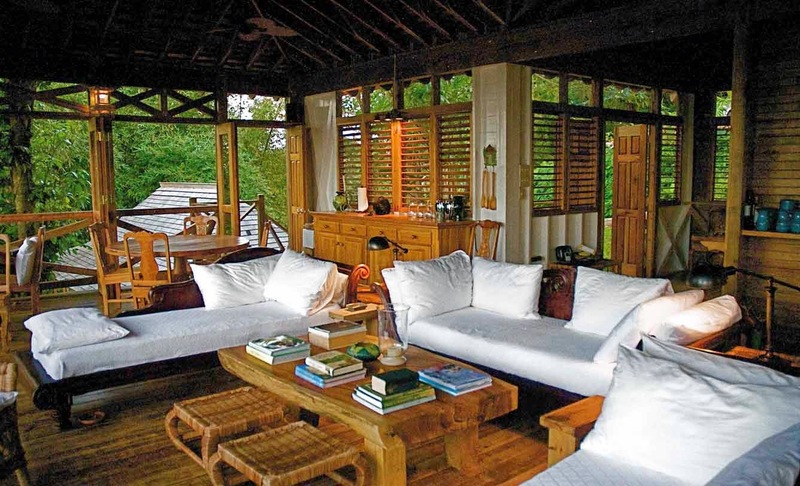 Hotel owners with a sense of style are turning these dated properties into fabulous places to stay for a getaway that has the characteristics of a luxury hotel, but without the luxury hotel prices. Case in point is 200 Main in Highlands, N.C. 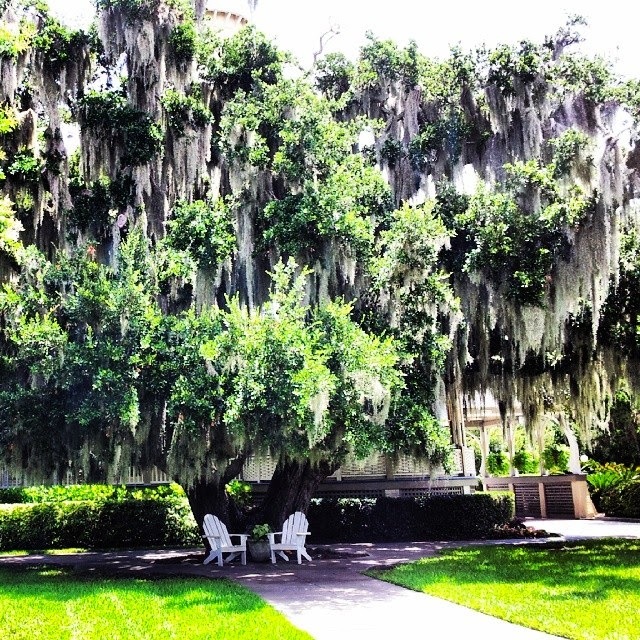 I visited its sister property, Old Edwards Inn and Spa, last spring. 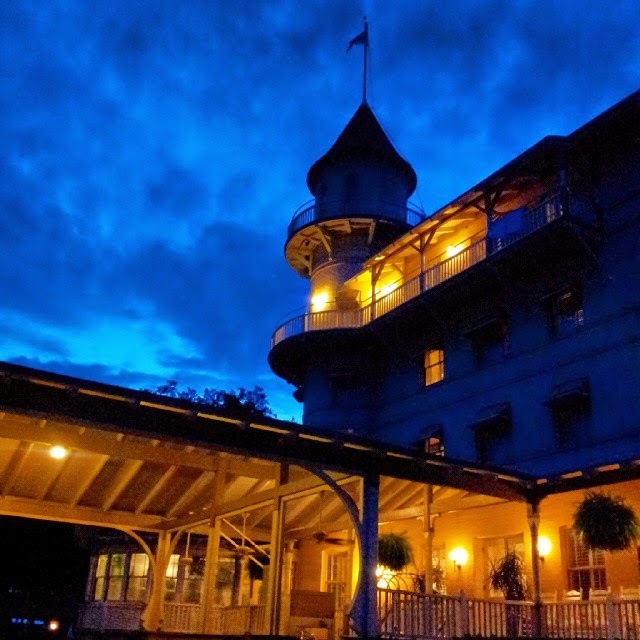 Old Edwards Inn is ultra lux, full-service, and one of my favorite hotels in N.C. 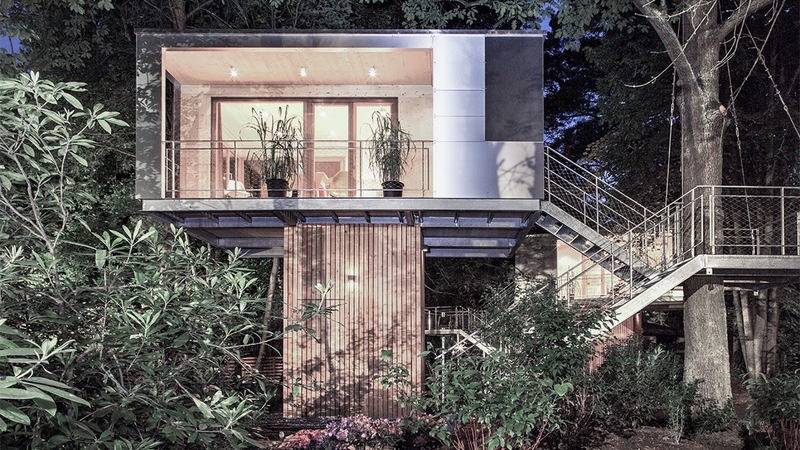 In a nutshell, it's dreamy, but....and isn't there always a but? 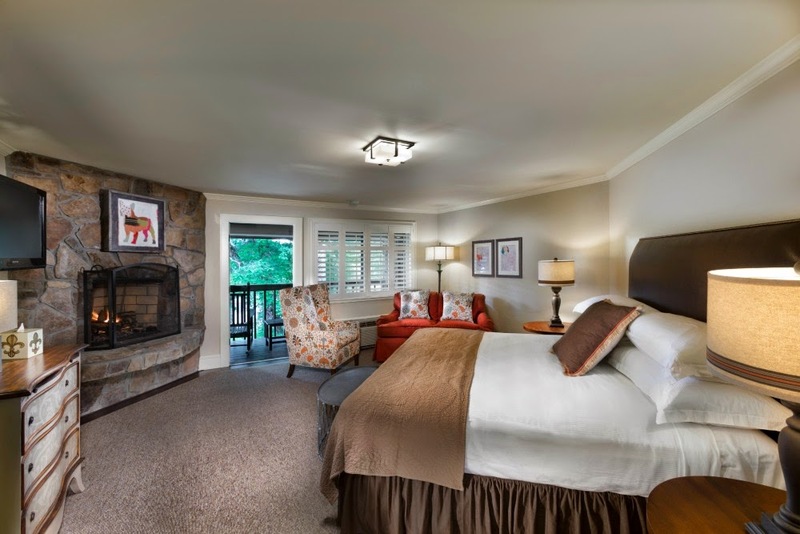 Old Edwards Inn and Spa can be out of some traveler's budget for various reasons. And it's not because they can't afford it, but rather, some traveler's would rather put costs in other places such as in restaurants, excursions, airfare, lots of travel, or even fashion. Designer boots will stay with you all autumn and winter. A hotel room is one night. Trust me, I get it. This is where 200 Main comes into play as the type of hotel to consider or seek out when traveling if you like the look and basic amenities of upscale hotel rooms, but don't care about luxury extras. 200 Main is basically the type of property I discussed with you for my Savannah trip. However, traveler's going to the mountain town of Highlands are just lucky because 200 Main is an independent hotel that is very unique to its area. 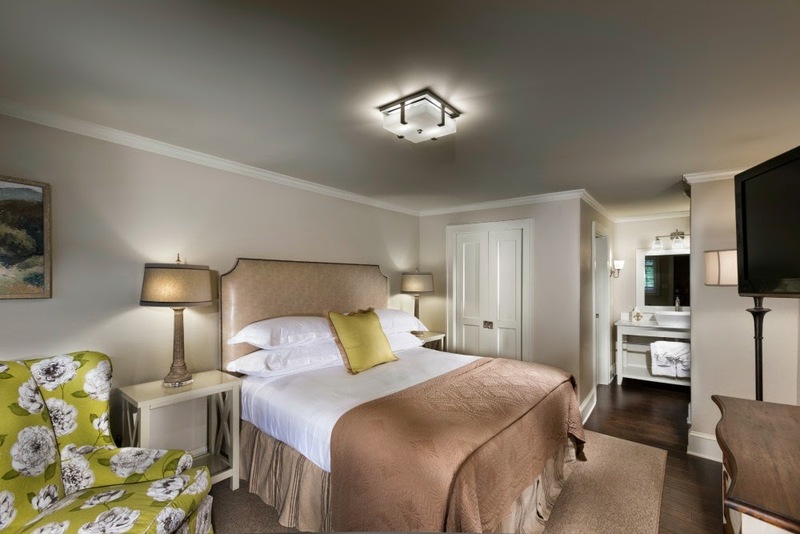 Taking a nod from its sister property, it offers guests frette linens, and heated tile floors in the bathroom. 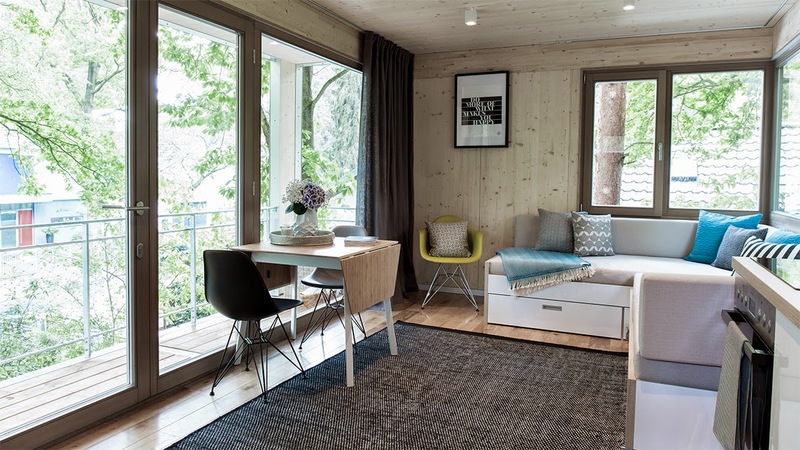 Rooms are not cookie-cutter in style. Nightly rates are kept affordable because the hotel is not full-service. There is no room service. There is not a restaurant on property, but the hotel does offer complimentary muffins, fruit, and coffee in the Terrace Room each morning. The property has a pool. It's family-friendly, and it is close to the action in Highlands. Are you ready for this? 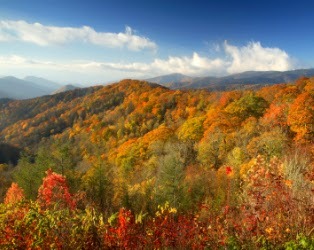 Summer and fall are peak times for this area of N.C. 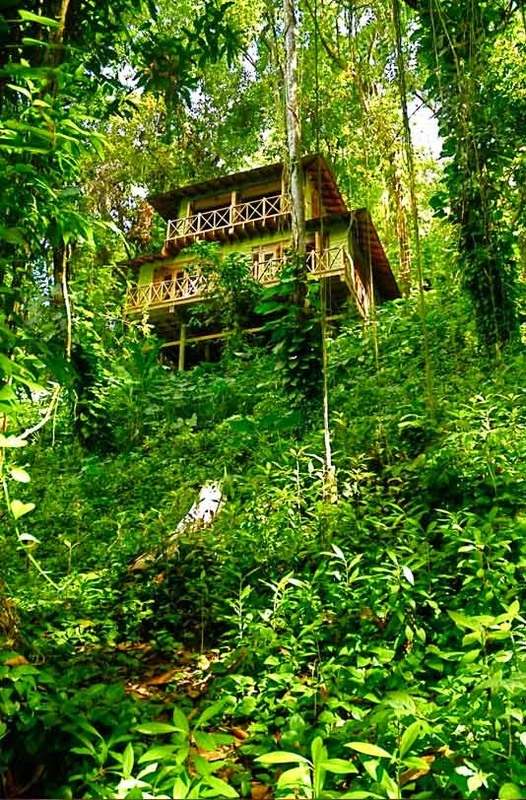 When things are in demand, rates are still under $200 a night. Rates typically hover from $105 to $160 depending on demand and room. 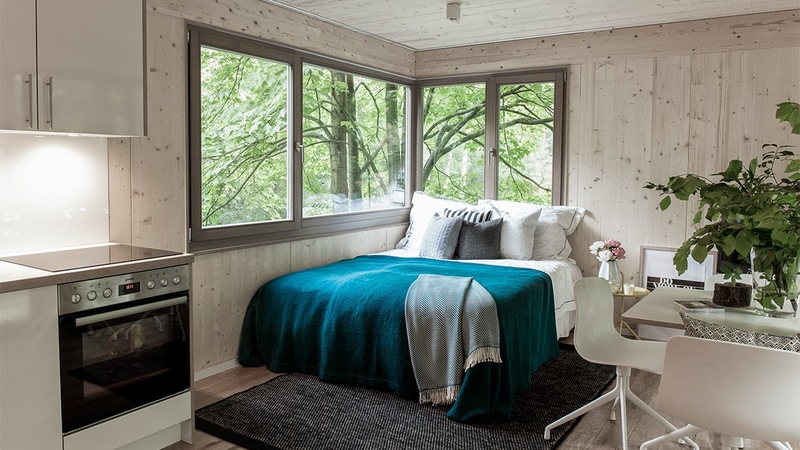 There is a minimum stay of two nights during the weekend, especially during peak autumn. 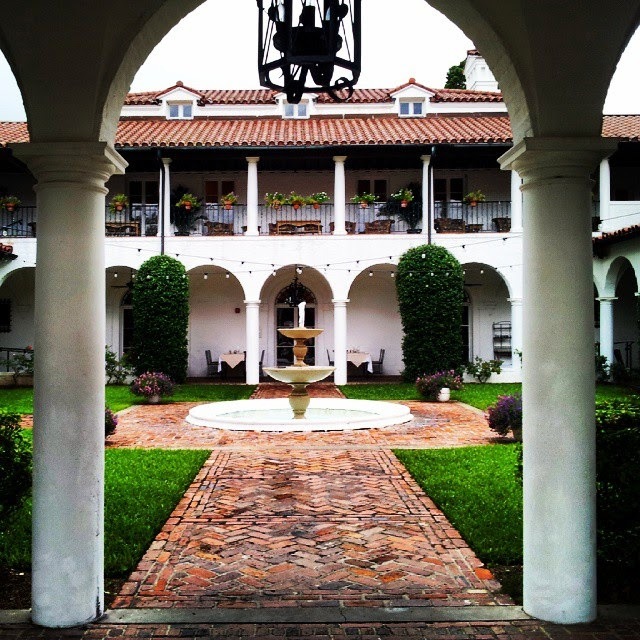 Old Edwards Inn and Spa is known for its gorgeous destination weddings. With the addition of this new property in its portfolio,Old Edwards Hospitality Group,can give guests a more affordable option for lodging while in town. This hotel is sure to be a splash of success. I've not yet seen 200 Main in person. I've been invited to visit, but Highlands is almost seven hours from Raleigh. For a quick weekend, it's tough to get there.My family couldn't make it up this summer due to other travel plans. 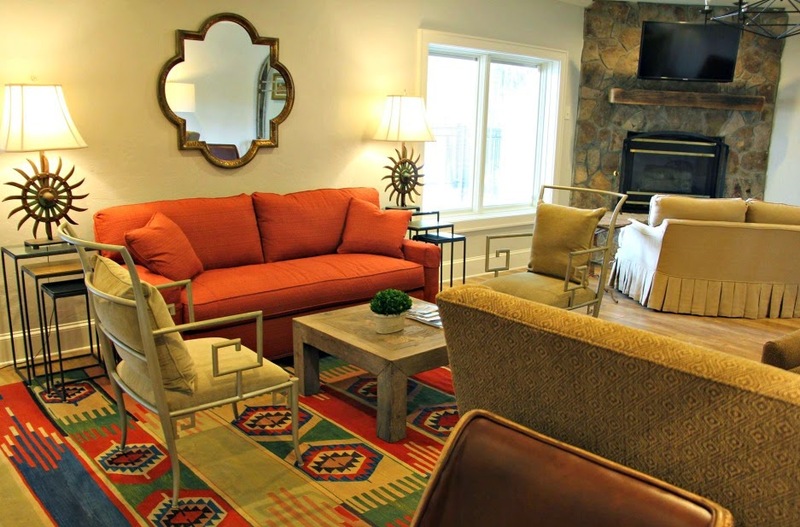 After my stay in Old Edwards Inn and Spa though, I trust this hospitality group 100 percent,which is why I'm recommending this inn as a new option for some travelers in Highlands. Fall is a glorious time in our mountains. Put the area on your travel list. If you have a daughter younger than 10 then there is a good chance, you've seen the "Frozen" movie. Perhaps you've even heard of the song, "Let it Go!" I joke and say the song is this generation's version of "You Light Up my Life" by Debby Boone. I can't tell you how many times I shouted that song from the back seat of my parent's car. I know hear "Let it Go" from my backseat a million times a day and lots of tears if anyone else in the car tries to sing it. We did a quick overnight at North Hills this weekend, and I purchased an "Elsa" costume for Liza as a treat while we were there. She put on the Elsa dress for the very first time at our hotel, and let's just say she "Let it Go!" I thought I would share it with you for fun. I can't believe she's going to be five in a few months. If you remember, I started this blog when she was a baby. Being a parent, it sometimes feels as if time stands still and at other times, time flies. I would say this is a "time flies" moment, and I would love to keep her four for a while longer.